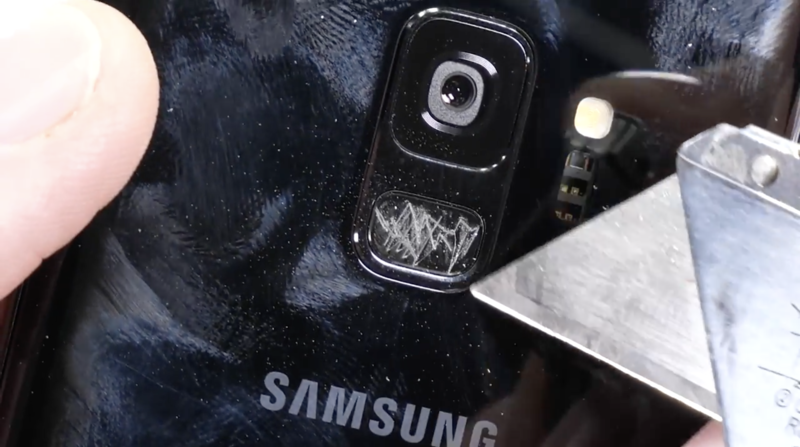 The metal sides of the S9 are obviously no match for a razor blade, but the Gorilla Glass 5 on the back of the phone remains unscathed at attempts to scratch it with the razor, just like the front of the phone. Glass is obviously more brittle than plastic or metal, making it much more prone to cracks, but the benefit is that it's also much more resistant to scratches. Unfortunately, the fingerprint scanner isn't covered in glass and takes quite a beating from the razor. However, Zack found that the scanner still functioned perfectly, despite the deep groves in the sensor. 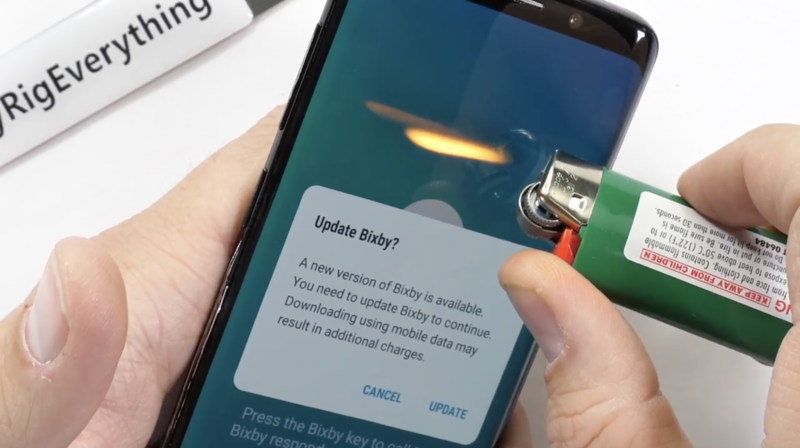 The Galaxy S9 fares slightly better than other phones when it comes to the burn test, with the pixels on the screen recovering somewhat after being subjected to a flame for twelve seconds. Still, the oleophobic coating on the screen does suffer some minor permanent damage, so you probably shouldn't put your phone under a scorching-hot flame — in case that wasn't already obvious. The last trial for this poor S9 is the bend test, to which it holds up incredibly well. The structural integrity of the phone likely benefits from its solid aluminum frame and the thicker-than-average Gorilla Glass 5 panes on the front and back. The glass on the front and back also remained solidly stuck to the frame even after being subjected to this amount of abuse, so we can expect that it will take quite a lot to compromise the waterproof seal on the Galaxy S9. If you take pleasure in watching an innocent Galaxy S9 get tortured gratuitously, be sure to check out the video below.